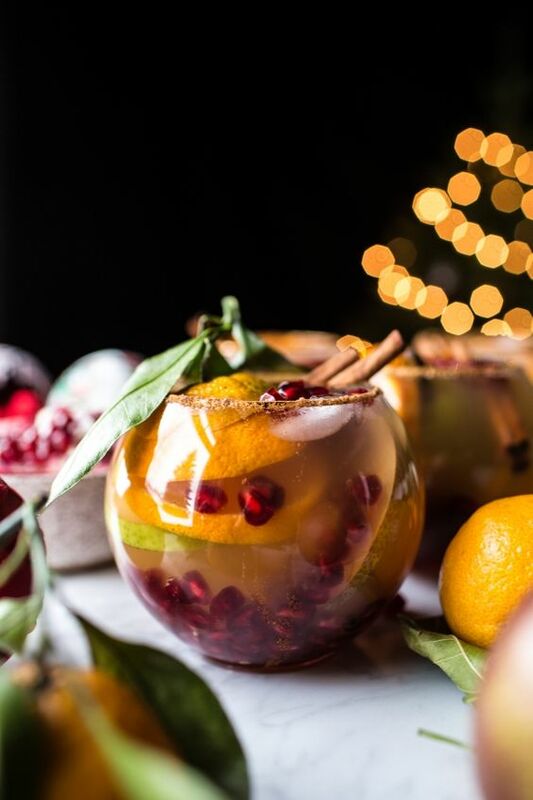 As the holidays are ramping up and with New Year’s Day around the corner, it’s time to focus on glassware. 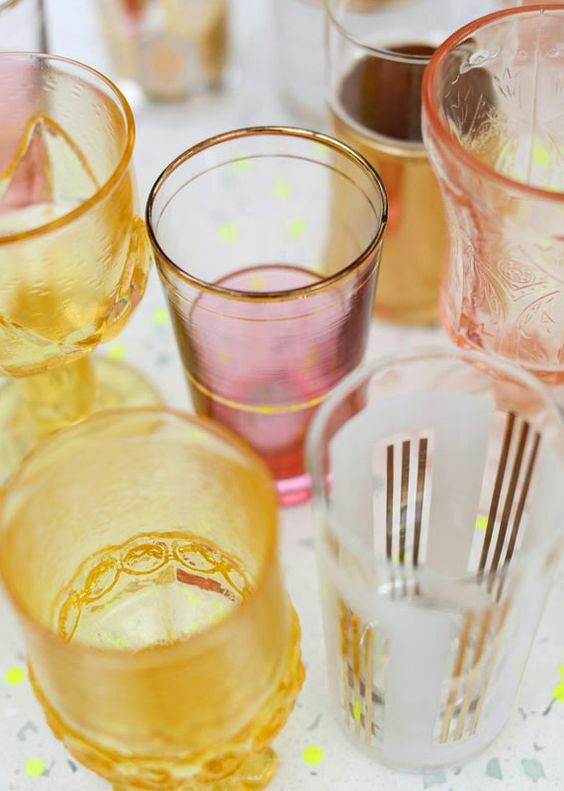 Vintage tumblers are so pretty and add a little glamour to any party. 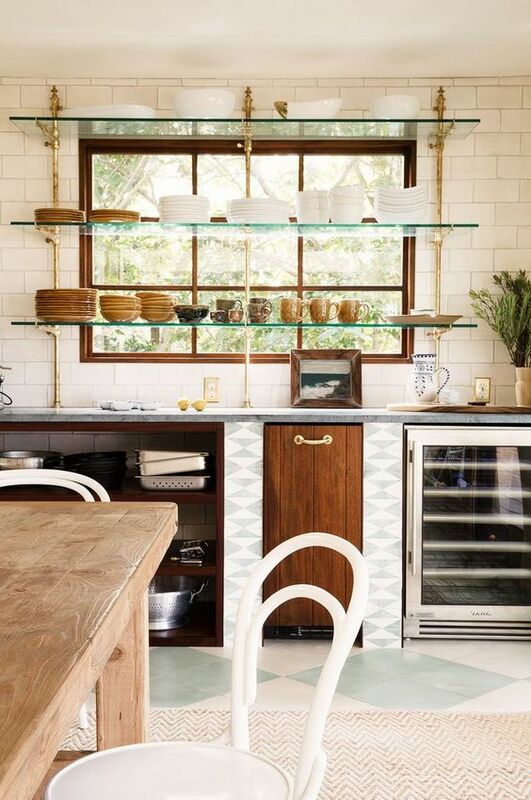 It’s easy to find a few scattered here and there and you can easily build a mix-and-match collection. 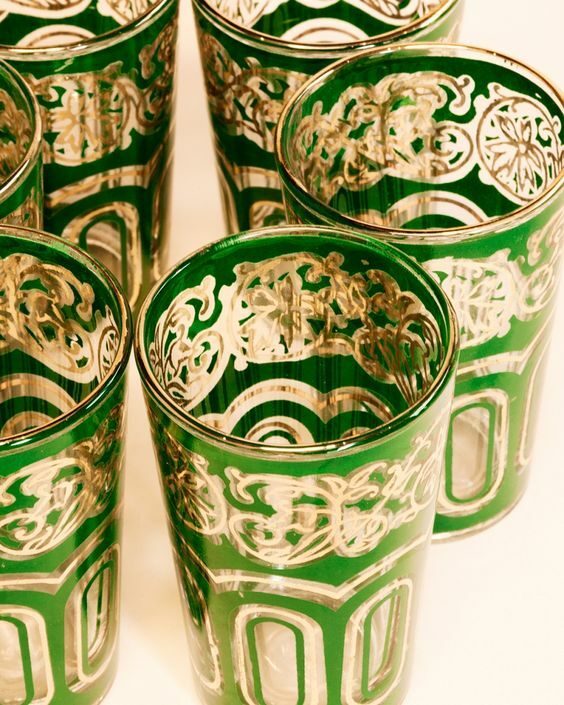 Firstly, I’ll fib it a little and introduce Moroccan tea glasses. They have such beautiful, intricate detail. You can mix and match these easy and they add just the right amount of color. Be sure to check our easy Bohemian eclectic table settings article for more ideas. Music Alert! Having a party? Here’s a nice little upbeat remix by Sisko Electrofanatik. 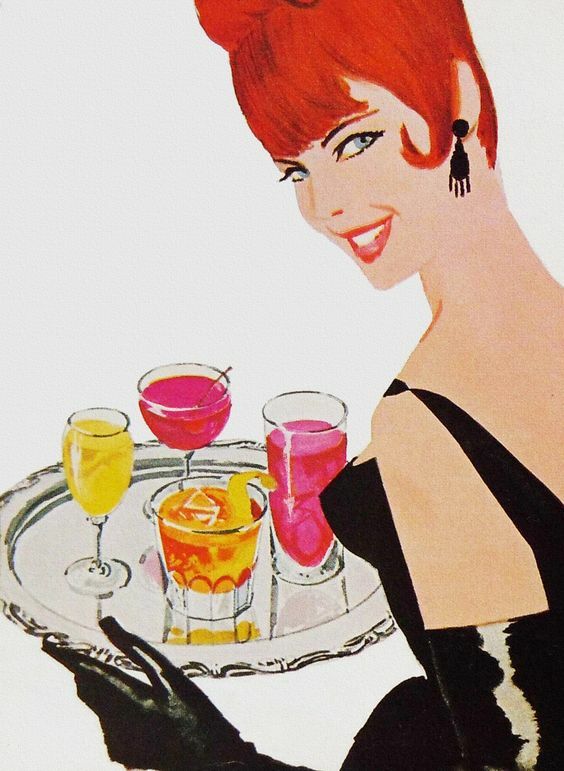 Start mixing and shaking those drinks why don’t you. 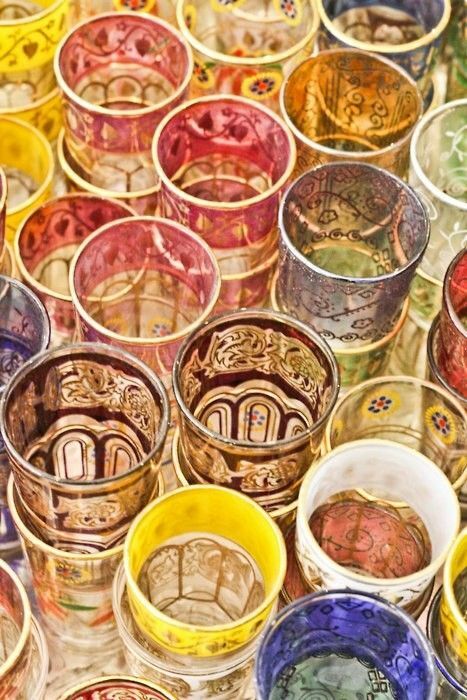 Moroccan tea glass is generally made of clear glass, stained glass, painted glass, or mixed metals. Use the versatile glasses to serve tea or wine. If you’ve got enough glasses around, consider adding a tea light and let them sparkle! These beauties are a Bohemian party staple. 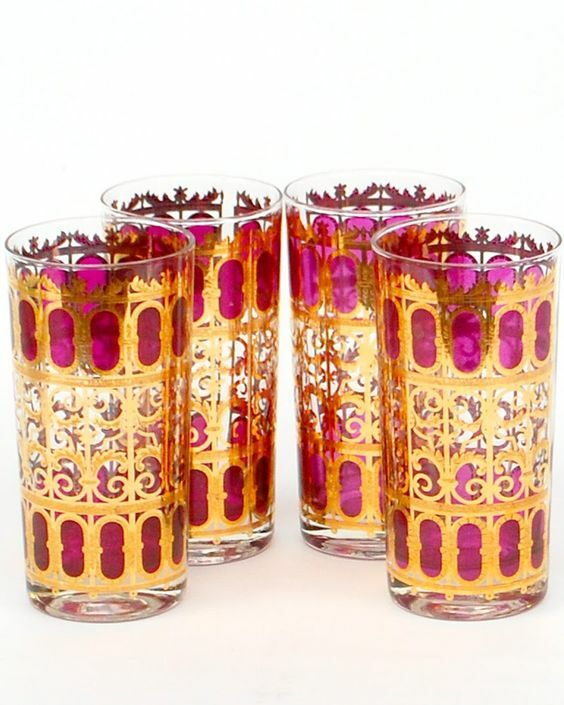 If you like more of the Mad Men cocktail vibe, try and find tumblers in a set. Usually, they are available with a caddy that looks perfect as bar top decor. I found a couple of fantastic little sets on Etsy, so check them out at the end of this article. Be sure to grab them while they’re available! As I mentioned above, if you stick with the same basic style, it’s easy to start a collection. 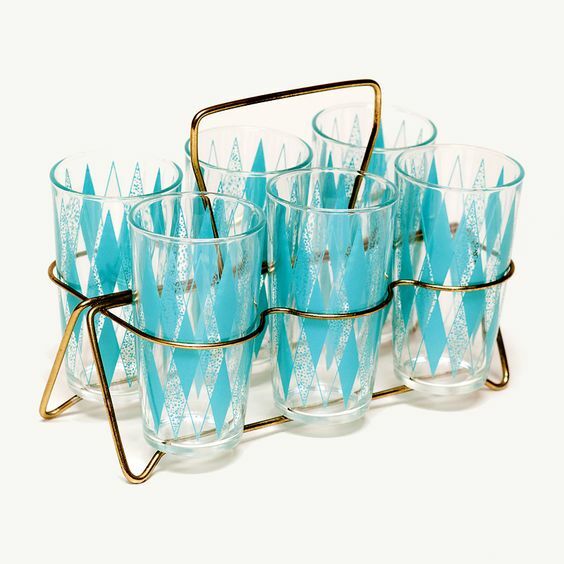 The best collections of vintage tumblers are all about the details. 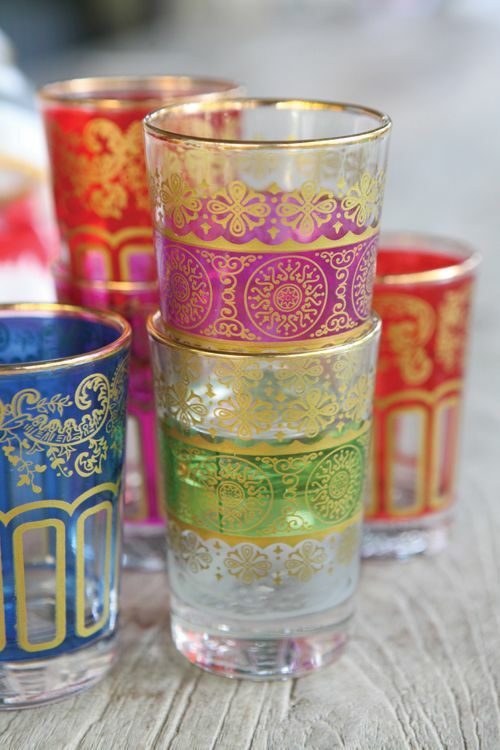 Find tumblers with the same type of glass, or the same kind of etchings. Maybe they all have the gold rings as the top – whatever floats your boat. 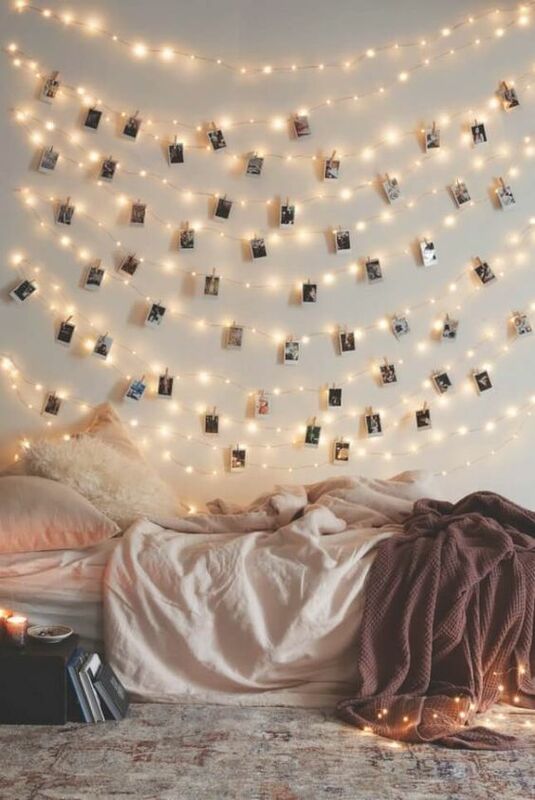 Crafty? 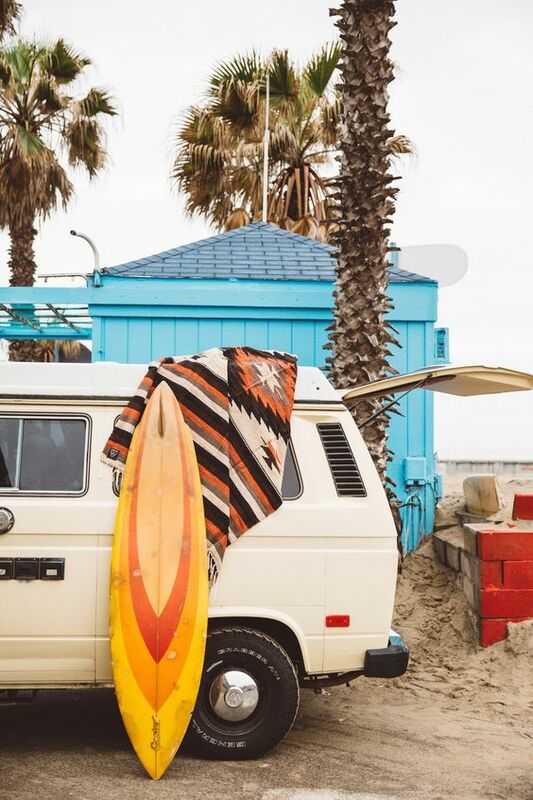 I found a great DIY from Palm Springs Style on how to make your own! Cut out a shape using painters tape and an X-Acto Knife and then paint it on with liquid gold-leaf. Check out their step-by-step tutorial, complete with pattern. Easy peasy. 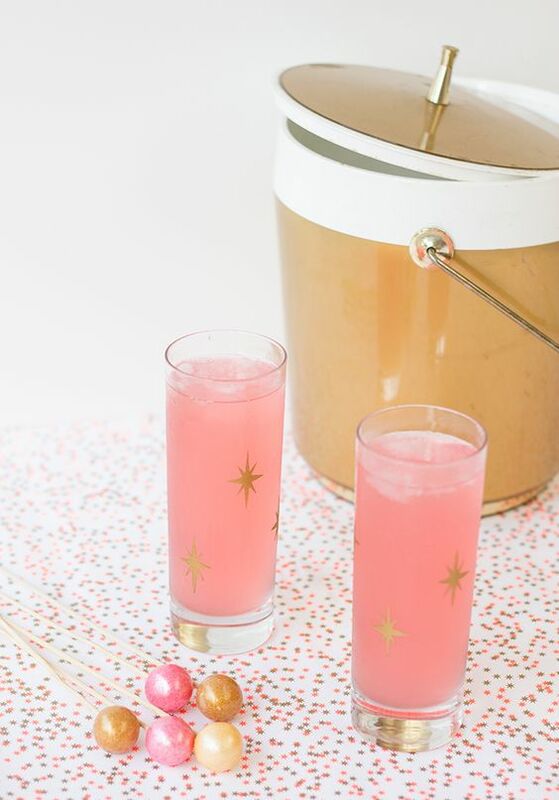 Vintage tumblers work easy in both the summer and winter, and are perfect for healthy mocktails. Since it’s winter, I like doing warmer drinks with dark berries and spices. Check out our favorite recipes below! This tasty mocktail is both fresh and spicy. Served warm, it’s certain to get you in the holiday mood. Check out Nosh My Way for the rest of the instructions. Create a sweet syrup heating grenadine over the stove and then freeze into ice cubes. I’m a San Pellegrino addict and this is an easy way to treat myself without the calories! 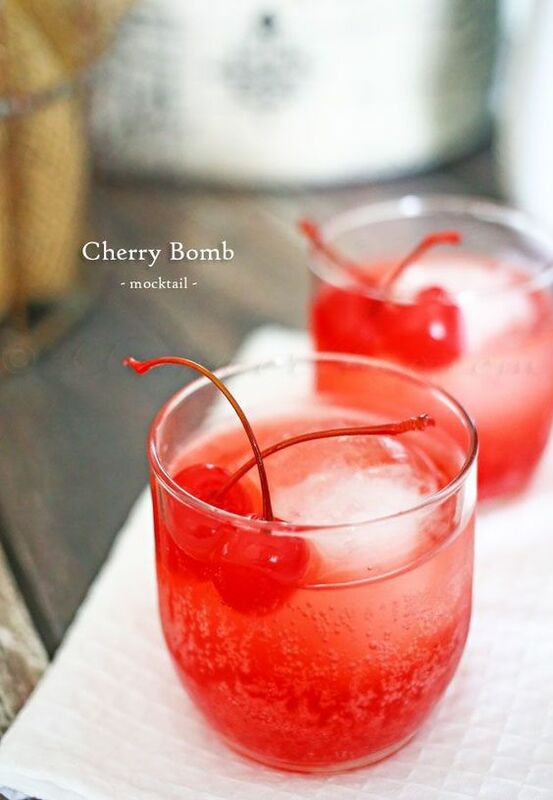 Check out Delish for the instructions and don’t forget to garnish with maraschino cherries! Okay, there may be a few calories.